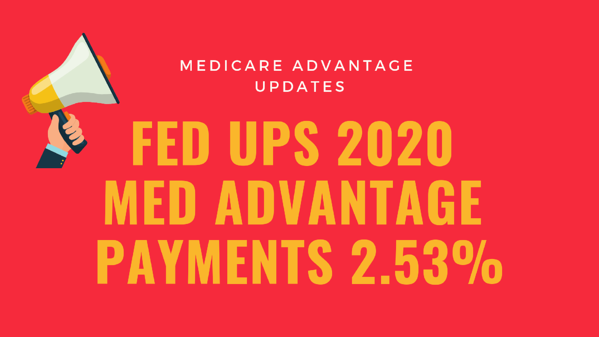 The government increased by 2.53% the average 2020 payments to health insurers that manage Medicare Advantage insurance plans. The rate represents an increase over the 1.59% increase proposed by the CMS in February. 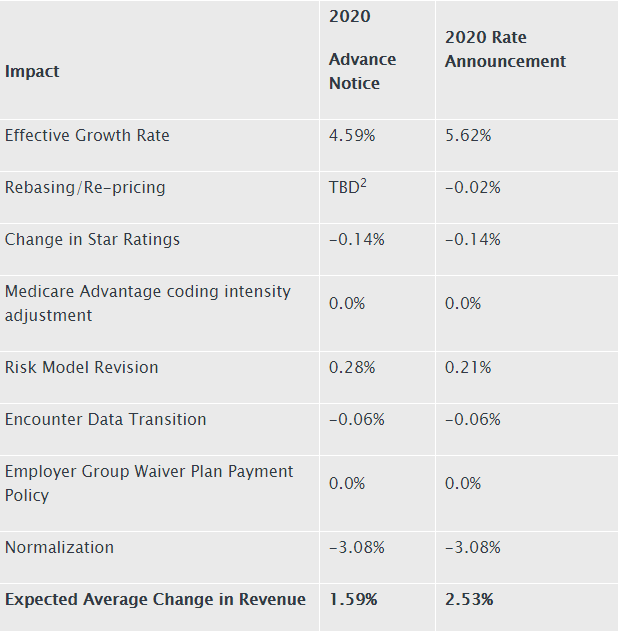 The 2020 rate reflects a decline in payments of 3.08% related to the ACA requirement that M/A and fee-for-service Medicare have the same payment structure. Starting in 2020, M/A plans will also be able to offer supplemental non-health related benefits to chronically ill enrollees that address their social needs, such as adding ramps and widening doorways. Previously, plans were allowed to offer only health related benefits. A copy of the 2020 M/A and Part D program summary is available here.